Bespoke Engagement, Bridal and Fine Jewellery. Mark Cotterell is a Brisbane based, widely respected master jeweller, priding himself in specialist, hand crafted jewellery. From a simple yet elegant Diamond Solitaire Engagement Ring, to the most stunning of Diamond Halo Rings and Jewellery, Mark applies the same love, care and devotion to creating your dream piece. 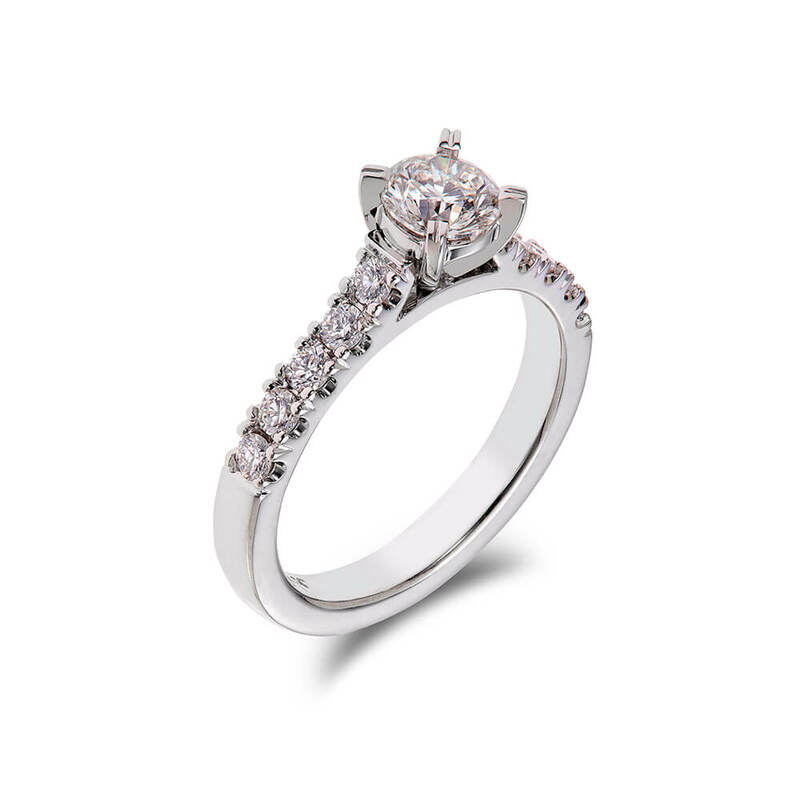 Mark Cotterell prides himself in supplying a standard of diamonds far above the normal, to compliment his superb Engagement Rings. The base grade of small diamonds we use is F colour Si 1 Premium cut, it’s just one more reason of why our pieces are so superior. We welcome working together with you to select the right centre diamond and personalised design touches, then carefully create the perfect piece for you and your partner. Comfortable decisions, peace of mind and impeccable quality are at the heart of your experience. 18ct White Gold Diamond split band Solitaire with yellow gold setting adornments Set with 1 x 0.73ct Radiant Cut and 40 brilliant cut diamonds tdw1.17cts.. The Quintessential Mark Cotterell classic. 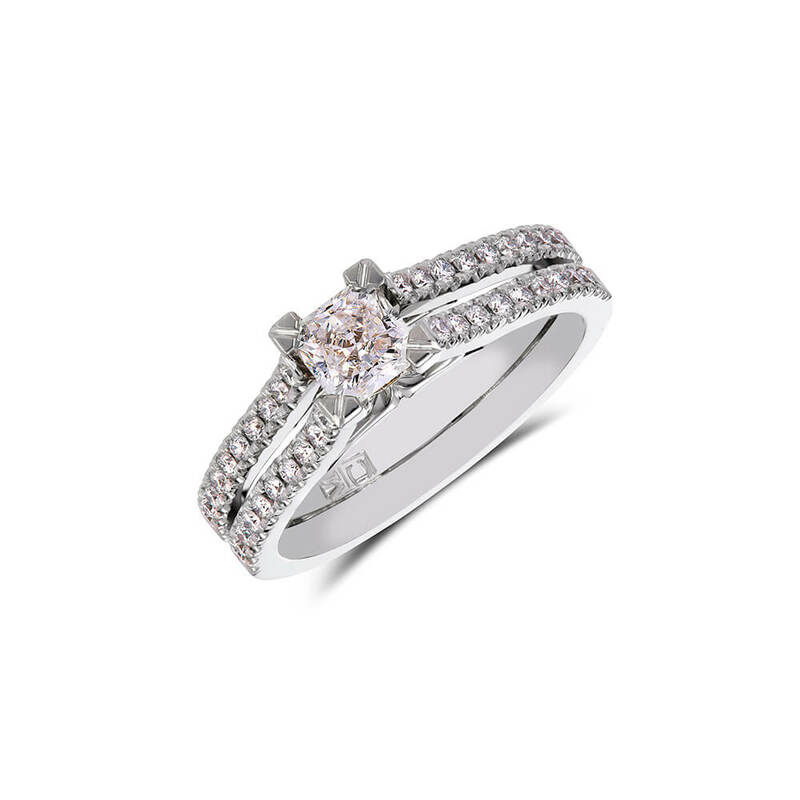 Set in 18ct White gold from half carat centre diamond upwards. Tdw 1.00ct upwards. 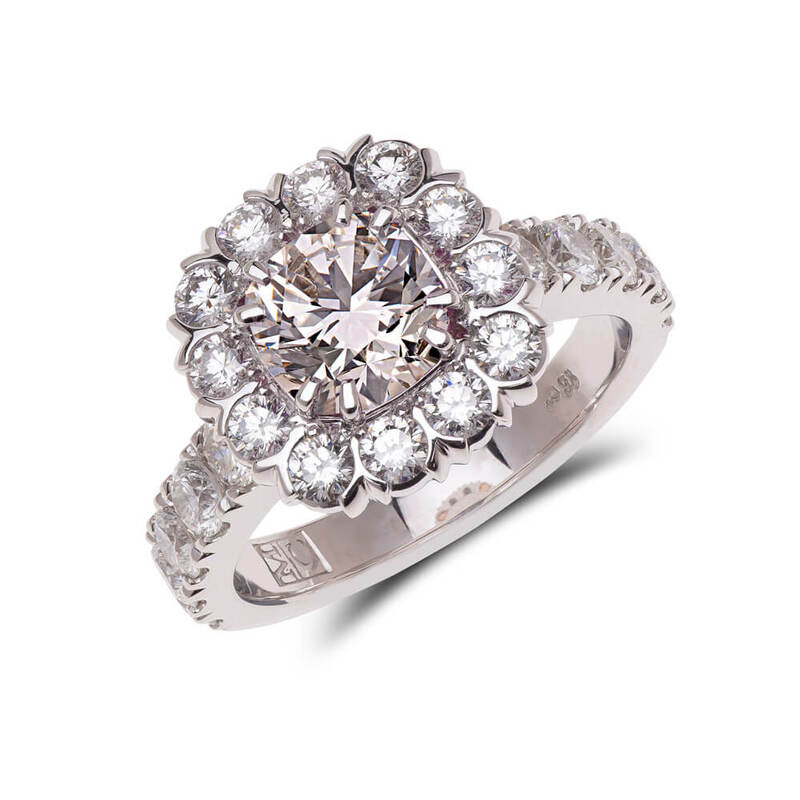 This Mark Cotterell exclusive Halo design is simply breathtaking. Set in 18ct White Gold MC with a stunning GIA Certified Cushion cut diamond Centre stone and 22 Brilliant cut Round Brilliant cut diamonds TDW 2.55cts.